From tender beet greens, spinach, and escarole to more sturdy Swiss chard, mustard green, kale and collards, vibrant greens are a full-flavored stand out and a nutritional powerhouse. Dark greens deliver vitamins A and C, fiber, lutein, folic acid and calcium to your body helping reduce cholesterol and fighting some forms of cancer. Greens are tender and easy to prepare stir-fried, roasted, braised or steamed plain or fancy with spices and herbs. Store – dry, unwashed wrapped in a clean cotton towel or paper toweling sealed in a plastic bag. 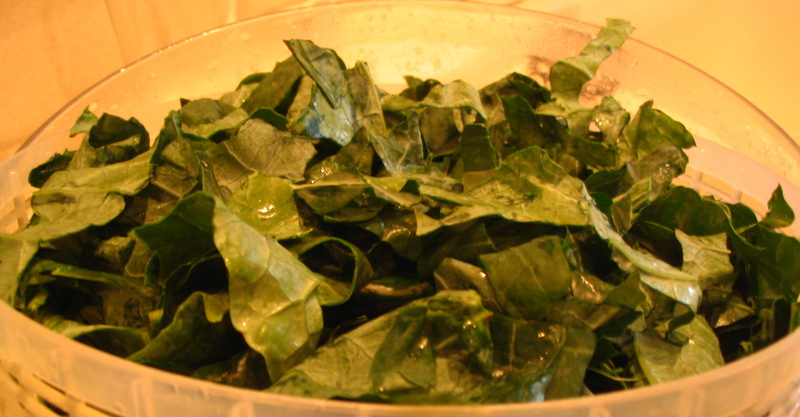 Tender greens (beet greens and spinach) eat within one week, sturdier green up to two weeks. Prepare – fill a sink or bowlful of water, swish greens allowing any sand to sink to the bottom, remove greens, drain water and wash again. Remove tough stems. 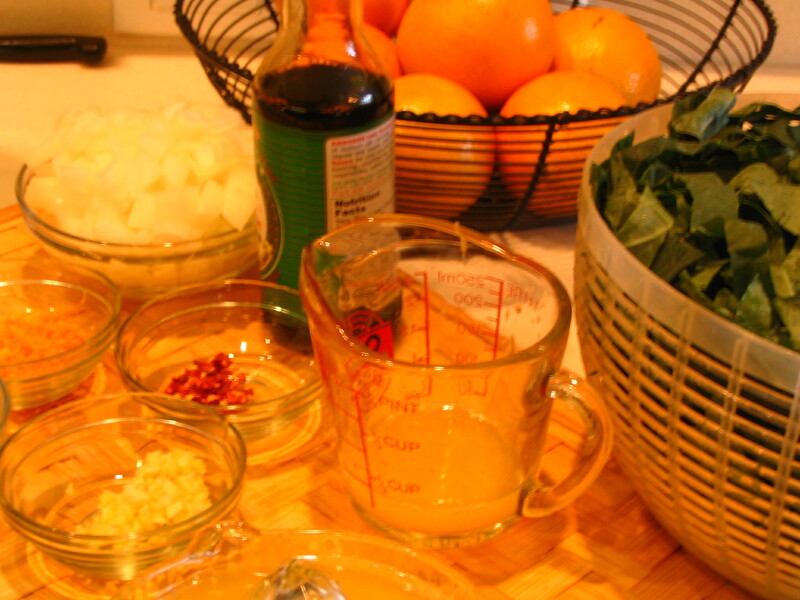 Quick meal tip: Freeze leftover cooked greens to combine with eggs for quiche, omelets or a frittata. 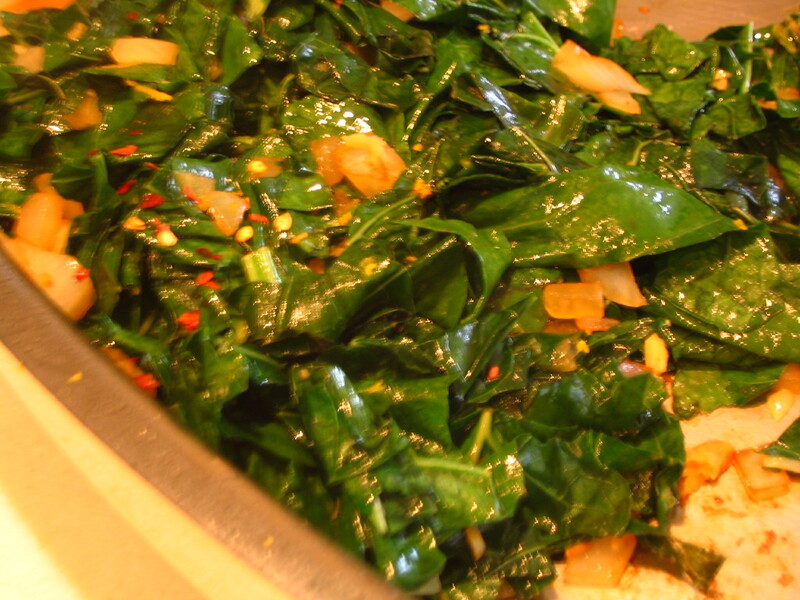 Add cooked greens to enchilada or lasagna fillings. Stir into soups. In a large covered skillet, heat oil. Over medium high heat, saute´ onion until soft, add garlic, ginger and orange zest. Continue to sauté 1-2 minutes. With tongs gradually add greens allowing them to wilt before adding more. Reduce heat to low toss with orange juice, soy sauce and red pepper flakes. Cover and continue to cook 3-5 minutes. Add more soy sauce or red pepper flakes to taste. Recipe adapted from “The Flying Biscuit Cafe’ Cookbook” by April Moon.